Hunter Maritime Acquisition Corp. (NASDAQ: HUNT) shares climbed 416.02 percent to close at $95.00 on Tuesday after surging 96.90 percent on Monday. Castor Maritime Inc. (NASDAQ: CTRM) shares surged 111.46 percent to close at $10.15. DropCar, Inc. (NASDAQ: DCAR) shares rose 52.28 percent to close at $6.35. Aldeyra Therapeutics Inc (NASDAQ: ALDX) shares gained 35.99 percent to close at $9.71 after the company's phase 3 trial for allergic conjunctivitis met its primary endpoint. PhaseBio Pharmaceuticals, Inc. (NASDAQ: PHAS) jumped 32.85 percent to close at $9.10. PhaseBio Pharmaceuticals posted Q4 EPS of $(0.26) after the closing bell. Seanergy Maritime Holdings Corp. (NASDAQ: SHIP) gained 28.07 percent to close at $5.43. Lantronix, Inc. (NASDAQ: LTRX) climbed 26.85 percent to close at $3.26. Lantronix named Paul Pickle as President and CEO. Bed Bath & Beyond Inc. (NASDAQ: BBBY) shares rose 21.99 percent to close at $16.92 following media reports that three activist hedge funds plan to launch a proxy fight to replace all 12 current board members. Raymond James upgraded Bed Bath & Beyond from Market Perform to Strong Buy. Spark Networks SE (NYSE: LOV) gained 20.35 percent to close at $16.50. Biocept Inc (NASDAQ: BIOC) rose 19.42 percent to close at $1.23 after the company announced it would apply its EmpowerTC product to urology. Also, Maxim Group initiated coverage on the stock with a Buy rating and $3 price target. SPI Energy Co., Ltd. (NASDAQ: SPI) rose 18.54 percent to close at $4.86. Amira Nature Foods Ltd (NYSE: ANFI) climbed 15.13 percent to close at $1.75 after the company announced expansion of an existing contract from $30 million to $42 million. Orchard Therapeutics plc (NASDAQ: ORTX) gained 14.52 percent to close at $19.01. Intellicheck, Inc. (NYSE: IDN) shares climbed 12.38 percent to close at $3.54. Reebonz Holding Limited (NASDAQ: RBZ) gained 12.32 percent to close at $8.75. 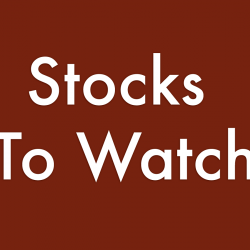 Alliqua BioMedical, Inc. (NASDAQ: ALQA) surged 12.08 percent to close at $2.97 on Tuesday. Key Energy Services, Inc. (NYSE: KEG) rose 11.34 percent to close at $4.32. HyreCar Inc. (NASDAQ: HYRE) gained 11.31 percent to close at $7.38. Gridsum Holding Inc. (NASDAQ: GSUM) shares climbed 11.02 percent to close at $2.82. SVMK Inc. (NASDAQ: SVMK) climbed 10.37 percent to close at $16.82. Ocean Power Technologies, Inc. (NASDAQ: OPTT) gained 9.72 percent to close at $4.63. Viacom Inc. (NASDAQ: VIAB) rose 7.64 percent to close at $28.33 following a media report the company is once again in merger talks with CBS. Boxlight Corp (NASDAQ: BOXL) gained 6.2 percent to close at $2.91 after the company entered into a partnership with Bahwan CyberTek to bring Mimio's award-winning classroom solutions that hold exclusive rights in the Omen educational markets. Oramed Pharmaceuticals, Inc. (NASDAQ: ORMP) rose 5.3 percent to close at $3.38 after the company reported that its Chinese partner got its investigational new drug application approved in China, which paves the path to start clinical trials there. Cidara Therapeutics, Inc. (NASDAQ: CDTX) rose 5.22 percent to close at $2.62 after the company announced it would offer multiple presentations at the 29th European Congress of Clinical Microbiology and Infectious Diseases. Weatherford International plc (NYSE: WFT) gained 4.83 percent to close at $0.7104 after the company completed the sale of two land drilling rigs. The company received aggregate proceeds of $32 million for this sale. Zscaler, Inc. (NASDAQ: ZS) rose 4.8 percent to close at $71.03 on no apparent news. The stock has climbed 43 percent over the past month. Atossa Genetics Inc (NASDAQ: ATOS) gained 4 percent to close at $3.97 after the company reported that the Institutional Review Board approved its oral Endoxifen for breast cancer patients. Zomedica Pharmaceuticals Corp (NYSE: ZOM) fell 43.82 percent to close at $0.3200 after the company priced a 6.52 million share stock offering at $0.46 per share. OpGen Inc (NASDAQ: OPGN) shares tumbled 34.83 percent to close at $0.5736 on Tuesday after the company filed a 'Notice of Effectiveness' with the SEC. OpGen priced 9 million shares at $0.60 per share. CAN-FITE BIOPHA/S ADR (NYSE: CANF) fell 27.83 percent to close at $0.9310 after the company's phase 2 trial for advanced liver cancer did not meet its primary endpoint. AMERI Holdings, Inc. (NASDAQ: AMRH) fell 16.3 percent to close at $0.3599 after the company reported worse FY18 than last year. AMERI posted FY18 loss of $0.82 per share on sales of $42.998 million. Qutoutiao Inc. (NASDAQ: QTT) shares fell 14.36 percent to close at $11.51. Apyx Medical Corporation (NASDAQ: APYX) dropped 13.57 percent to close at $6.88. Eyegate Pharmaceuticals Inc (NASDAQ: EYEG) fell 13.45 percent to close at $0.3360 after the FDA said Eyegate is ready to move forward with a pivotal study for its Ocular Bandage Gel. Kandi Technologies Group, Inc. (NASDAQ: KNDI) fell 12.62 percent to close at $5.33 after the company filed an S-3 filing; registering certain stockholders to sell, from time to time, up to 7.64 million shares in a common stock offering. Axsome Therapeutics, Inc. (NASDAQ: AXSM) shares dropped 12.24 percent to close at $14.34, despite having no clear news catalyst. The stock is experiencing a pullback after more than doubling over the past month. The9 Limited (NASDAQ: NCTY) dipped 11.44 percent to close at $1.78. Magenta Therapeutics, Inc. (NASDAQ: MGTA) fell 11.07 percent to close at $17.52. SINTX Technologies Inc (NASDAQ: SINT) dropped 10.91 percent to close at $0.2000 after the company filed for a $50 million mixed securities offering. Onconova Therapeutics, Inc. (NASDAQ: ONTX) shares declined 10.41 percent to close at $3.70. Onconova Therapeutics reported FY18 loss of $4.99 per share on sales of $1.228 million. Empresa Distribuidora y Comercializadora Norte Sociedad Anónima (NYSE: EDN) dropped 10.4 percent to close at $20.25. Fennec Pharmaceuticals Inc. (NASDAQ: FENC) dipped 10.1 percent to close at $4.72. Amyris, Inc. (NASDAQ: AMRS) shares fell 10.05 percent to close at $1.88. iClick Interactive Asia Group Limited (NASDAQ: ICLK) shares fell 10.02 percent to close at $3.9500. AAC Holdings, Inc. (NYSE: AAC) dropped 9.95 percent to close at $1.81. Molina Healthcare, Inc. (NYSE: MOH) fell 9.72 percent to close at $130.21 after the Department of Justice filed a motion for the Affordable Care Act to be struck down and Nancy Pelosi plans to release legislation to clean up Affordable Care Act exchanges. Check-Cap Ltd. (NASDAQ: CHEK) dipped 9.23 percent to close at $2.9500. Carnival Corp (NYSE: CCL) dropped 8.72 percent to close at $51.71 after the company provided Q2 EPS guidance below analyst estimates. ABIOMED, Inc. (NASDAQ: ABMD) fell 8.69 percent to close at $286.00. Neogen Corporation (NASDAQ: NEOG) dropped 8.31 percent to close at $55.50 after the company reported worse-than-expected Q3 EPS and sales. CorMedix, Inc. (NASDAQ: CRMD) fell 8.19 percent to close at $7.62. CorMedix Inc. said its previously announced 1-for-5 reverse stock split of its common stock will take effect 9 a.m. ET Tuesday. Cheetah Mobile Inc. (NYSE: CMCM) declined 7.7 percent to close at $6.47 after Nomura downgraded the company's stock from Buy to Neutral. SG Blocks, Inc. (NASDAQ: SGBX) shares fell 7.62 percent to close at $1.94. Ramaco Resources, Inc. (NASDAQ: METC) dropped 6.35 percent to close at $5.75. Beacon Roofing Supply, Inc. (NASDAQ: BECN) dropped 4.8 percent to close at $32.49 after the company said it expects Q2 EPS below the analyst consensus estimate. iQIYI, Inc. (NASDAQ: IQ) fell 4.8 percent to close at $22.87 after the company announced a $1.05 billion convertible note offering.